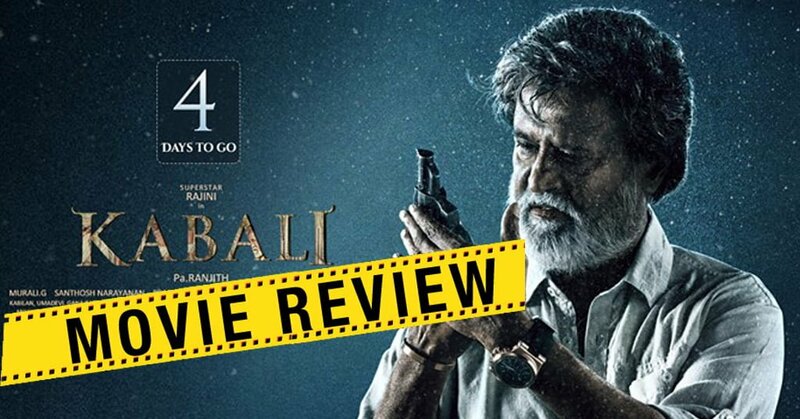 Kabali Movie Review: Kabali is undoubtedly the most expected movie of this year and the sole reason for this is the superstar himself. His fans are just infinite and we can’t just count them, their craze for him is unstoppable. The teaser and songs were a huge hit among the audience and the expectation for Kabali was sky high. Kabali’s first hero is definitely Rajini with his Charism and Presence , the next big hero of the film is the Music Director Santhosh Narayan , his BGM and songs has taken the movie to next level , without him the film will be a mere disaster . The other cast in the film has also given a strong performance , special mention to Dhansika. Radhika Apte’s acting skill is beyong writing , she has lived the role . A special character in the film is Attakathi Dinesh , his character and his acting requires a special mention. For the number of times one might have heard Neruppu Da (fire blazing fiercely), the hit track from Rajinikanth’s ‪#Kabali‬ which has released worldwide in cinemas on Friday, it isn’t unfair to expect some fire in the film too. Unfortunately, you don’t even find a spark, neither in Ranjith’s story nor in the overall film. However, there’s fire in Rajinikanth’s performance and it’s a treat to see the 65-year old superstar, acting his age effortlessly and as stylishly as we might have never seen him before. The confidence and earnestness with which Ranjith made “Attakathi” and “Madras” is absent in this film and that’s disappointing. What’s even more surprising is that how did Ranjith fail making a film with Rajinikanth where he isn’t playing to the gallery? Verdict: Kabali has failed to make an impression as a Superstar movie !